Mumbai, May 20 (PTI) Uttar Pradesh Governor Ram Naik today welcomed Chief Minister Yogi Adityanath's decision to celebrate UP Divas every year on January 24. 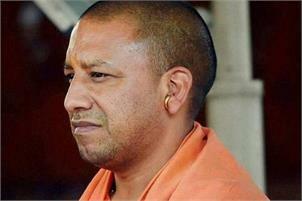 "Adityanath is a prudent administrator. When I put forward this proposal of celebrating Uttar Pradesh Divas he took serious note of it and got the proposal cleared in cabinet meeting the next day," said Naik. He was addressing a gathering in suburban Vile Parle, where he was felicitated by organisation Abhiyan. Naik also appreciated Mumbai BJP general secretary Amarjeet Mishra who has been celebrating Uttar Pradesh Divas in the city for the last 28-years. "When Mishra approached me, I asked him to give me the documents about the celebrations. He furnished all the literature. I then documented it and presented it to chief minister Yogi Adityanath and he readily accepted it," said Naik. Uttar Pradesh cabinet on May 2 (Tuesday) decided to celebrate January 24 every year as Foundation Day of the state. "I had mooted the proposal to celebrate January 24 as UP Divas to former Chief Minister Akhilesh Yadav but despite terming it as a good move, he did nothing due to political compulsions," said Naik. Naik, a former MP from north Mumbai constituency said, "After India's independence, a notification was published on January 24, 1950 in which the United Provinces was renamed as Uttar Pradesh preserving UP as the acronym, and therefore this date was chosen." BJP leader Prem Shukla, classical singer Soma Ghosh, lyricist Sameer were among the those present for the function. Mishra said, "It was unfortunate that we (people who came to Mumbai from UP) were celebrating Uttar Pradesh Divas in Mumbai, but such celebration was missing in the state there. "I am thankful to Ram Naikji for his efforts to start such celebrations in UP," added Mishra.